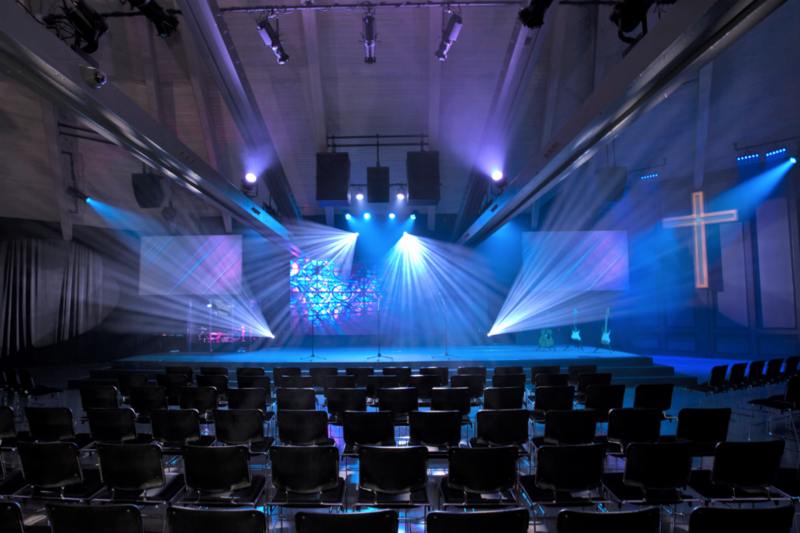 An infrastructure of enormous low hanging beams in a very large room creates a number of challenges that are multiplied when lighting such a space. 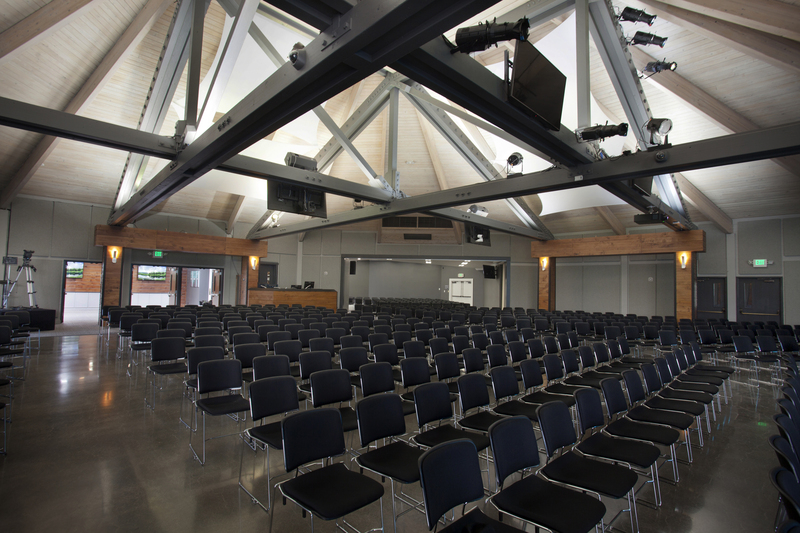 Having occupied this room for nearly three decades, Community Presbyterian Church in Danville, CA was well aware of these obstacles and enlisted AGI’s assistance when it embarked on a large-scale renovation of the sanctuary. 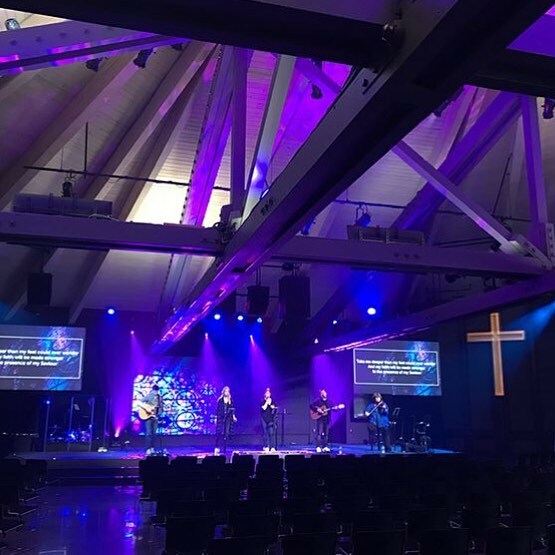 With an awareness of how critical lighting is when creating a contemporary worship space, the church’s interior consultant Kristen Philips of Bellissimo Decor melded her plan with Kelly Baum’s lighting design. 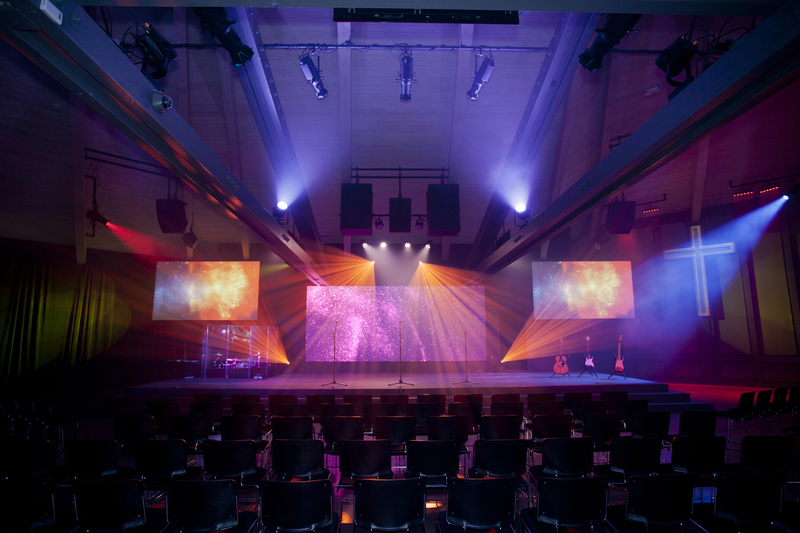 This collaborative effort throughout the project produced amazing results!